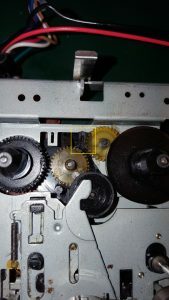 Do you have a defective / non working Commodore 64 breadbin? No other items with this. I have confirmed the power light lights up when plugging my power pack in. 2 loose buttons, included. Can be glued back on. U25 (MOS7708, week 23, 1984) defective. Black screen but with video sync. Replaced with HD74LS257P. Board hard do desolder on because of corrosion, so damaged 3 tracks. Those repaired with wires. Good Commodore 64 personal computer, tape player, 1 joystick, leads + power pack. The power pack overheated at one stage but still worked – hence the tape around it. I have not tested to see if the power pack will still work but I would say it was much safer to use an alternative power pack! The Commodore has not recently been tested but was working when last used and has been well looked after so I do not see there would be any problems with it. Grey screen of Death (blue border). VIC2 defective. Replaced. Glued datasette connector (broken plastic). Ground wire torn – hidden in connector (rarely used anyway). In future projects I’m planning to try to order prototype print online, but I did’nt have the PCB layout and currently have no experience in ordering PCBs online. So i choose to buy something working and even got a plastic case. Then the task was simply to figure out how the Cartridge PCB works. The PCB is delivered with a plastic case, but I don’t use it. I need to have full access to the jumpers and EEPROM so I can re-program it. 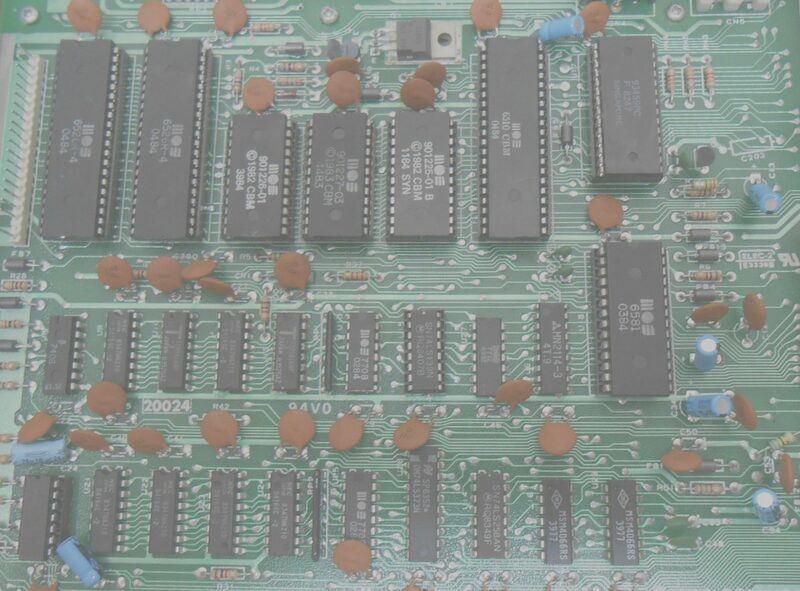 WARNING: All the jumpers have default traces on the PCB you need to break before installing pin headers for jumpers. If you don’t need jumpers, you should leave the traces alone so the pins are not floating :-). Then I made a plan for which ROMs I wanted to put on the EEPROM and at which address in the EEPROM. You could install one ROM per EEPROM, but since all the diagnostic ROMs i found were 8KB and the EEPROM was 64KB it would waste a lot of EEPROM space. Luckily the A13, A14 and A15 jumpers on the ROM cartridge actually makes it possible to choose 8 different “banks” of 8KB out of the 64KB EEPROM. So in fact the 3 jumpers will choose between up to 8 ROMS of 8KB each. In the following table “L” or “R” tells if the jumper should be installed in the Left or Right position. Note that hex 2000 is actually 8KB (8.192 bytes). I’ve also filled in the Game/ExROM and ROM Low/High configuration as the Dead Test ROM is special: it runs in Ultimax mode at 0xE000 (ROM high), while the other ROMs I use runs in Game mode at 0x8000 (ROM low). Note that the Game/ExROM jumper probably should have been named ExROM/Game as ExROM/Ultimax is active when it is set in the left position. 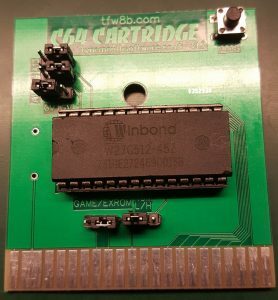 Thanks to WorldOfJani for providing the ROMs for download on the blog. Note that you need to burn the .bin file as the .crt file is for Commodore 64 emulators. Hint: When you load the individual ROMs in MiniPro (the software included with the programmer), it is possible to disabling clearing the programming buffer before loading and also setting the loading address according to the table above. After burning the ROM, I found that the Diagnostic 324517 did’nt work – the Commodore 64 just started as if no cartridge was inserted. Af re-burning the EEPROM a few times, I realized that the .bin file is corrupt and converted the .crt file to a .bin fil using CARTCONV.EXE from the VICE Commodore 64 emulator. That worked. I’ve added a comment on the WorldOfJani blog about that. On my to-do list is to create the two different test harness required by four of the ROMs. Commodore 64 Computer C64 Breadbin With Power & Datasette Faulty Spares & Repairs BUY NOW. Greet Computer found in job lot of items and will sadly not power on ? Maybe easy fix for someone or at least loads of spares. Comes with power pack and datasette only. 7805 voltage regulator, original electrolytic capacitor and a few other passive components replaced with 3A buck converter with 4700uF 25v electrolytic capacitor on input. Patched in after diode rectifier.